GoLisbon.com is again recommended in the Lisbon guidebook of the Lonely Planet series. The latest edition has just been published and this time GoLisbon is listed as a â€œuseful websiteâ€ for bookings â€œbefore you go,â€ saying the site is where you can â€œbook central apartments or search for hotelsâ€ (and letâ€™s not forget hostels, tours or the must-get Lisboa Card). 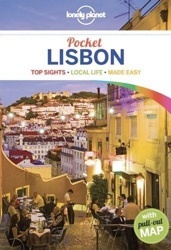 This new series of books is pocket-sized and the name illustrates that: â€œPocket Lisbon.â€ It focuses on the top sights and local life. It seems to have been very well researched by the author, although there are the unavoidable recommendations of a couple of restaurants that have closed as the book went to press. But there is always the internet and sites like GoLisbon for you to double-check the information. The guide really was written quite recently, pointing to the hottest neighborhoods of the moment, including the â€œgrim-turned-glamâ€ Cais do SodrÃ© that only in the last few months did it become the place to be at night. A curious feature is a two-page guide to Baixaâ€™s â€œBack in Timeâ€ shopping with â€œold-school specialty shopsâ€ that never make it in guidebooks. Another curious choice is the ruined Carmo Convent as one of the top sights in the city, as well as the selection of Sintraâ€™s National Palace, when Pena Palace is the most famous and most fantastic of the two. Overall this is probably the best guidebook to those coming on a short break to Lisbon. Itâ€™s divided by neighborhoods, the maps are good and is filled with useful tips. This is GoLisbon’s 500th blog post. 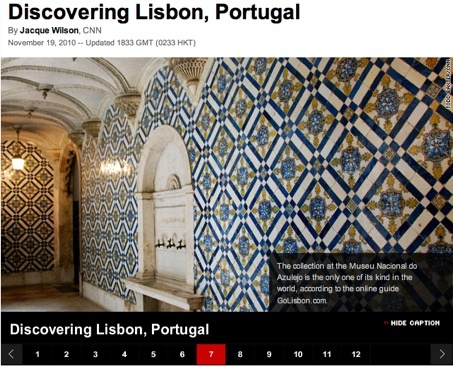 Go Lisbon Blog has become the most widely-read English-language blog about Lisbon (and Portugal in general) on the web. Published since 2006, it’s been a reference for The New York Times and London’s The Times, as well as a recommended source for Lisbon information in newspapers and magazines like Paris’ Metro and New York Magazine. 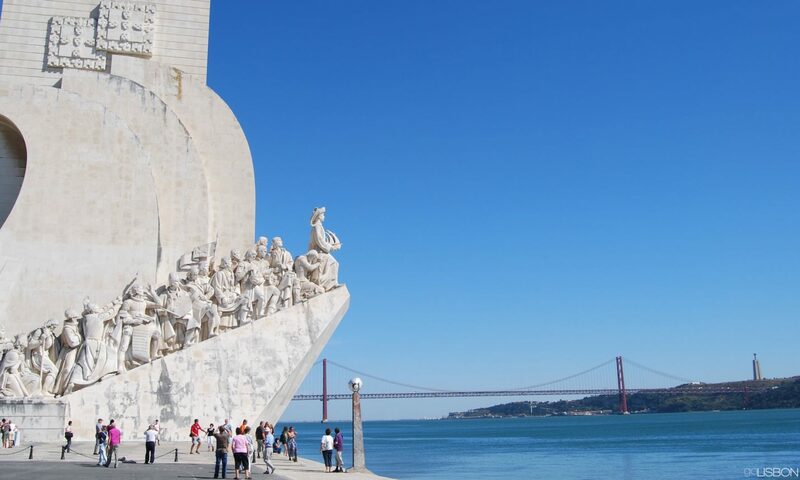 The insider’s scoop on all that’s new and relevant in Lisbon has also led to a recommendation in the Lonely Planet guidebooks, as well as a selected blog with posts featured on that publication’s website. Our information has also been a reference for countless other blogs and websites, often republished or translated into other languages. More than just reporting on what’s new or noteworthy in Lisbon and/or Portugal, this blog also presents a perspective and detailed information not found anywhere else. That’s a knowledgeable local perspective but from a “foreign” eye, offering insights and up-do-date stories. It’s the result of a passion for everything Lisbon, making it more than just another Lisbon blog. It’s a window to Lisbon culture for an international audience, bringing to the city a more informed and more curious traveler who then leaves with a real and more profound appreciation for all of Lisbon’s unique and seductive charms. 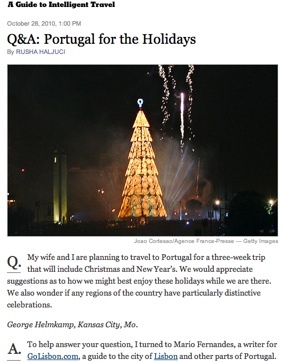 The weekly travel Q&A column of the New York Times travel section will this week answer a question about the holiday season in Portugal. I have contributed to this report which will be published in this Sunday’s printed edition and is already available on the newspaper’s website. It highlights the events scheduled for this year in Lisbon, but also tells you about the city’s annual traditions at this time. Outside the capital, the biggest celebrations in Portugal take place in Obidos and in the island of Madeira. Price, location, and positive reviews from past guests were the selling points for the hotels and hostels most booked in 2009 through GoLisbon.com. Looking at the top 5 hotels, they average an 8.3 out of a possible 10 rating from past guests and are all centrally located or with easy access to and from the airport. Three of them are located downtown, with the relatively new Vincci Baixa having already claimed a spot in the top 5. 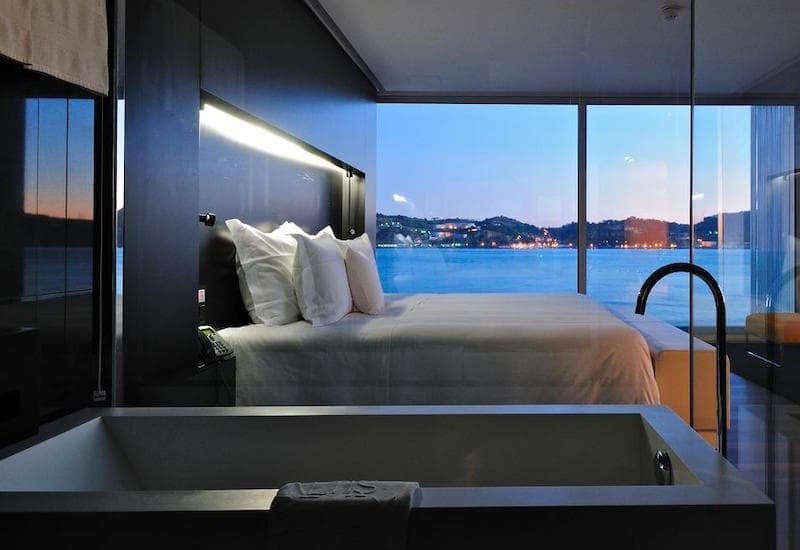 What they all also have in common is their price range, with double rooms at below 100 euros throughout most of the year, and often going for as low as 60 euros. Their positive rating means that their strongest selling point is good value for money but their locations are also a plus. In our hostel bookings the ratings from previous visitors were also important to attract new guests, with the top 5 hostels averaging a 93.5% approval. The most booked hostel was the gay-friendly Pouso dos Anjos Guesthouse followed by Lisbon Story Guesthouse and Travellers House in the Baixa, downtown district.